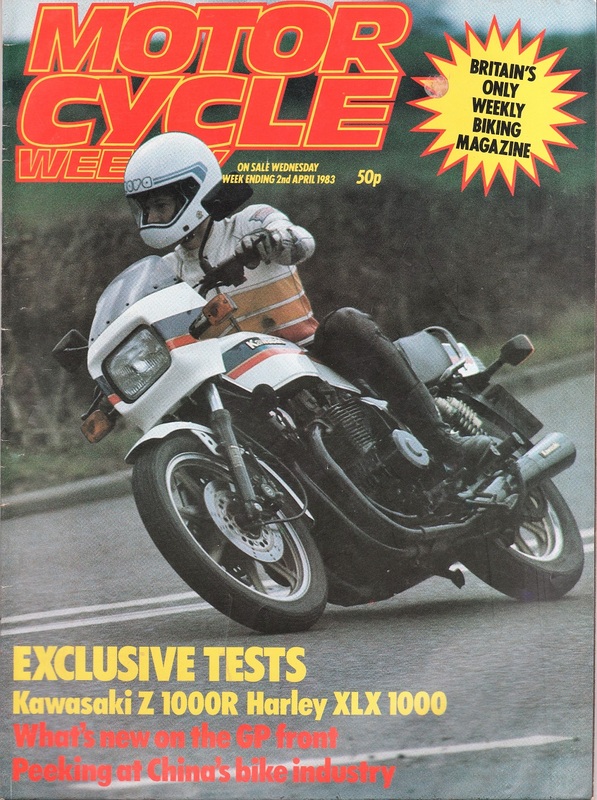 1983 Honda VF400F road test. 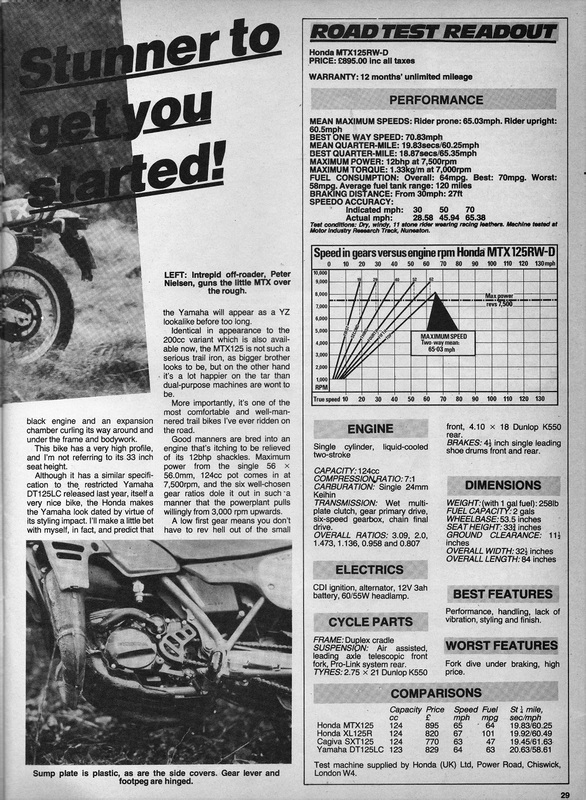 Into the red……with Honda’s 12,500rpm VF400F. Road test by Mat Oxley. 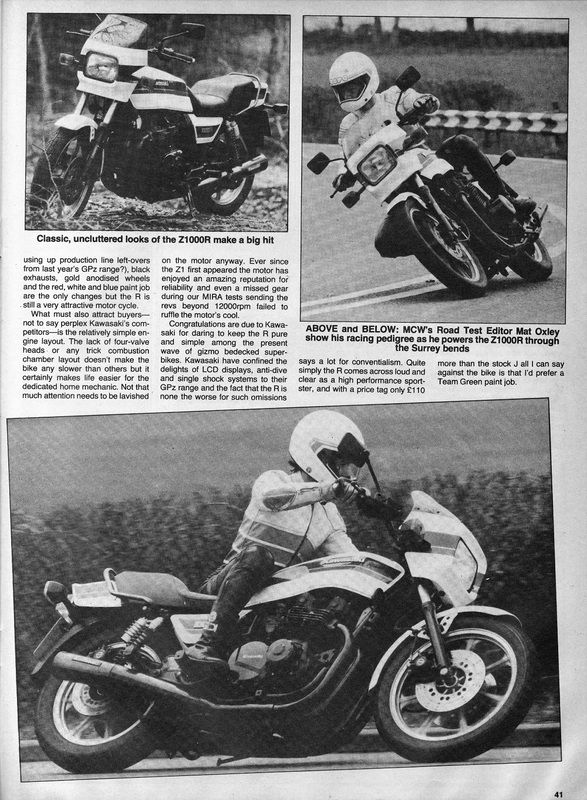 1983 Harley Davidson XR1000 road test. 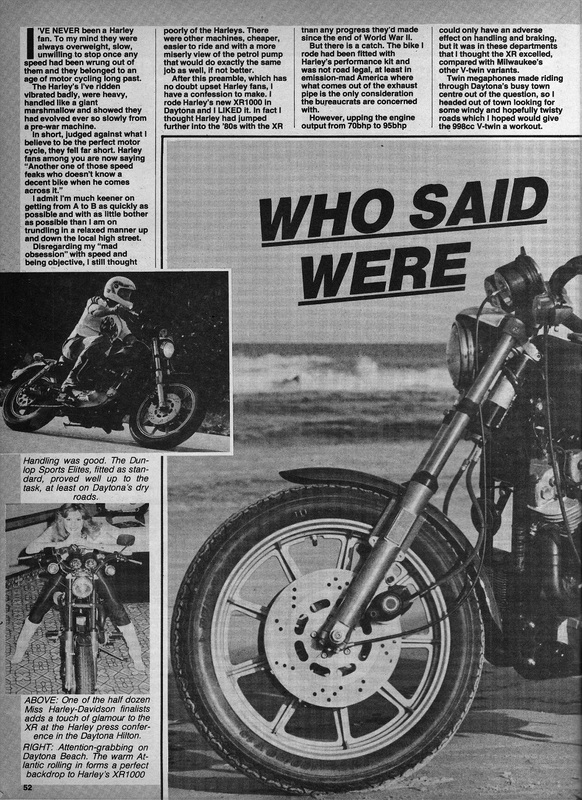 Who said Harley were washed up? 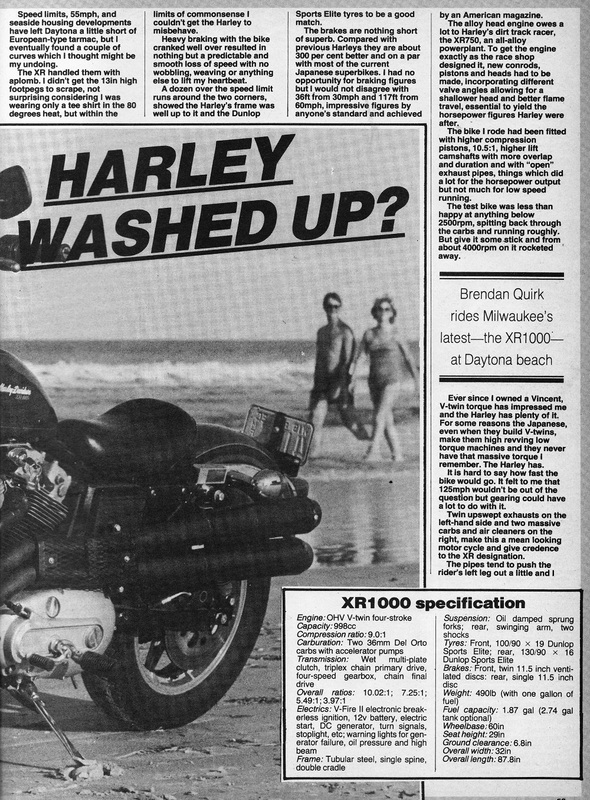 Brendan Quirk rides Milwaukee’s latest-the XR100-at Daytona beach. 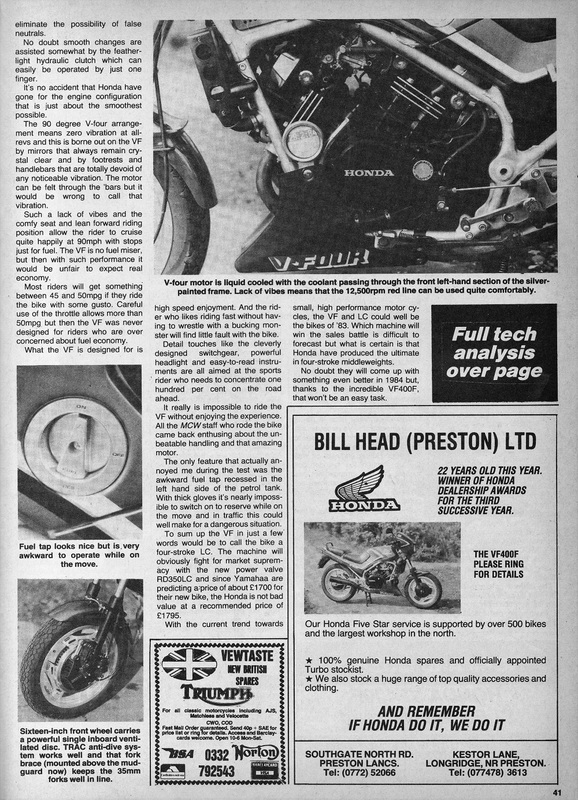 1983 Kawasaki KDX200 road test. 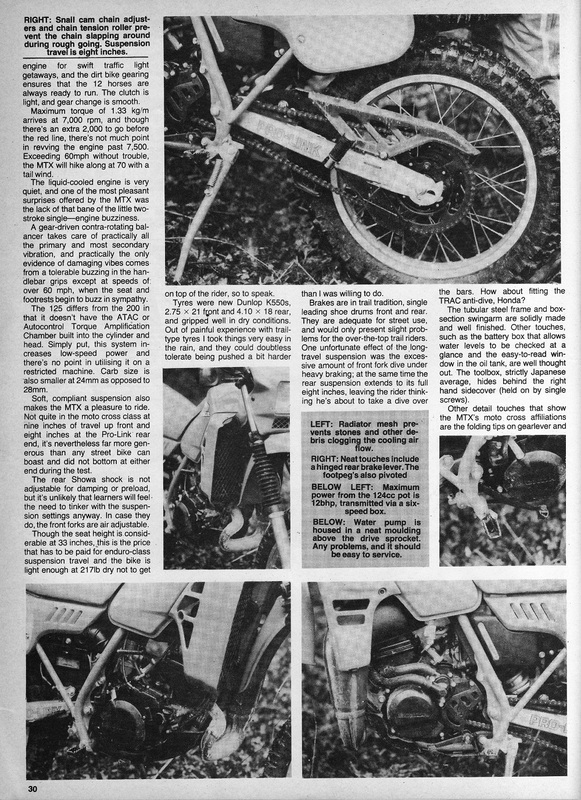 Frank Melling has fallen in love. The new apple of his eye is green, lean and, it goes without saying, mean. She is Kawasaki’s new KDX200 enduro. 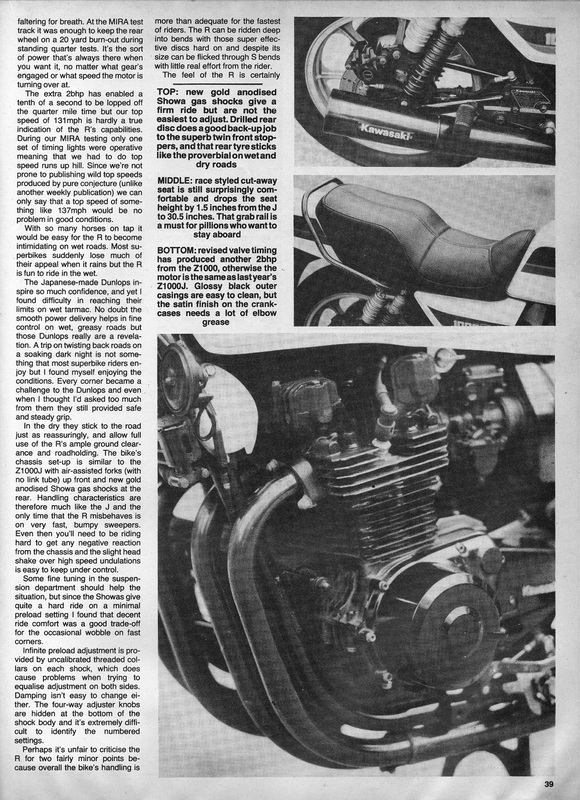 1983 Honda MTX125RW-D road test. Stunner to get you started! 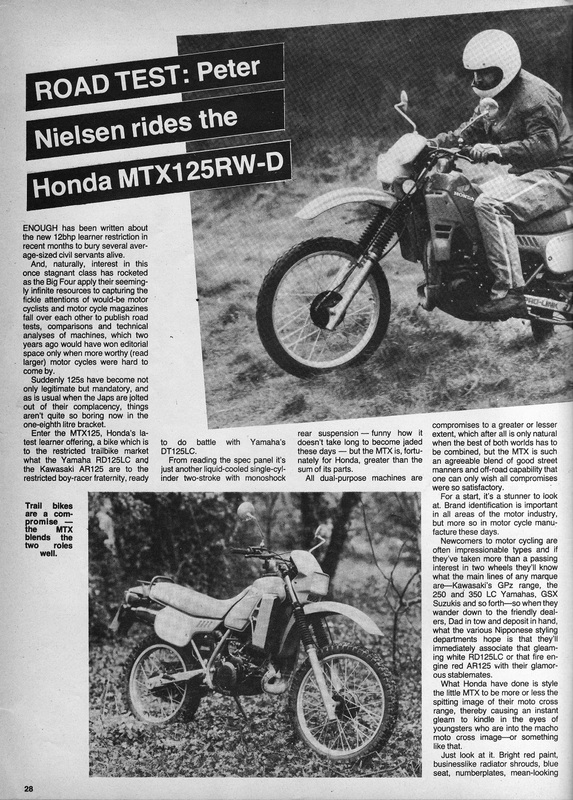 Intrepid off-roader Peter Nielsen guns the littleMTX over the rough. 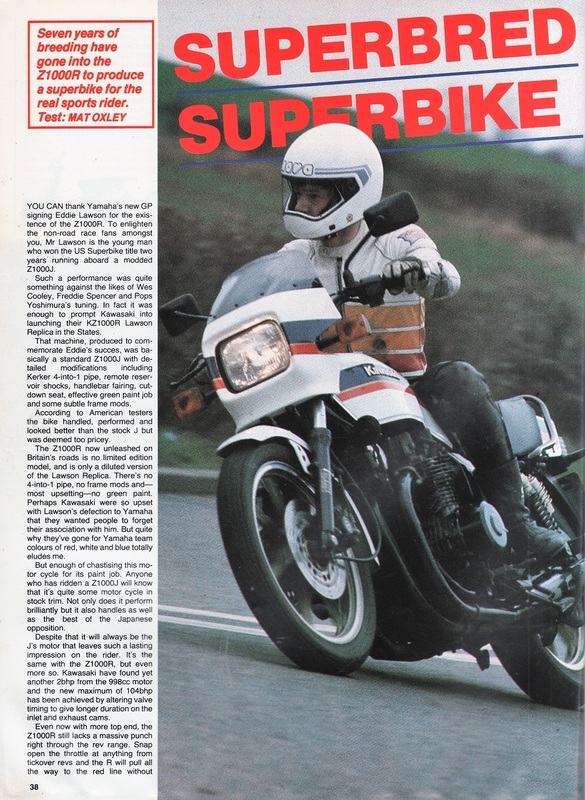 1983 Harley XLX 1000 road test. 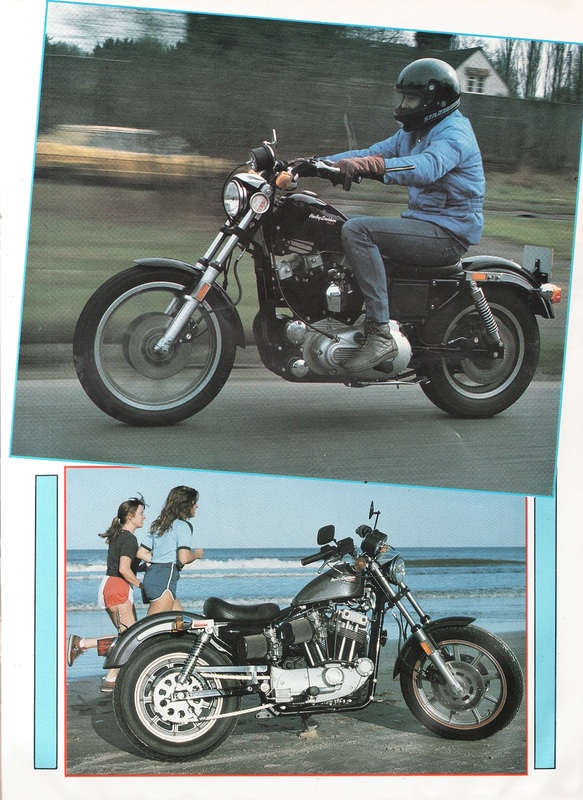 Roll on those lazy, hazy days… Dave Richmond rides the Harley XLX Sportster. 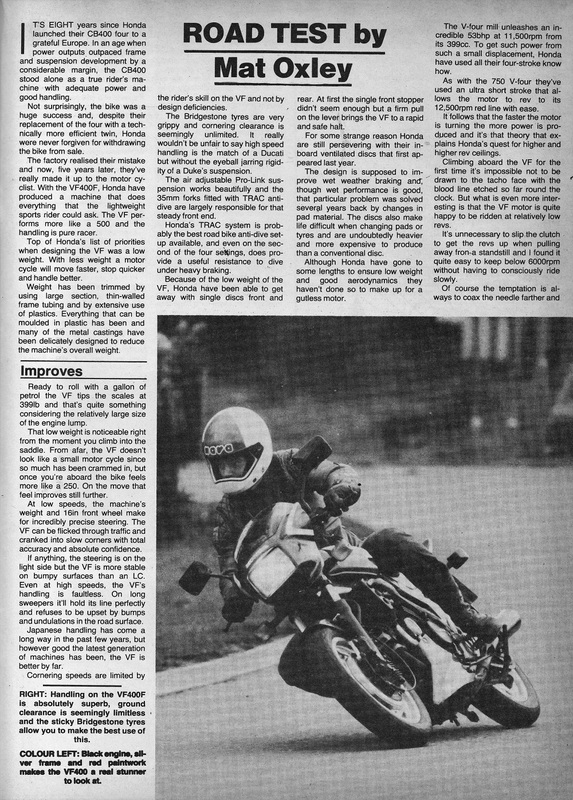 1983 Kawasaki Z 1000R road test. Seven years of breeding have gone into the Z 1000R to produce a superbike for the real sports rider.